This is a neat app for Twitter. 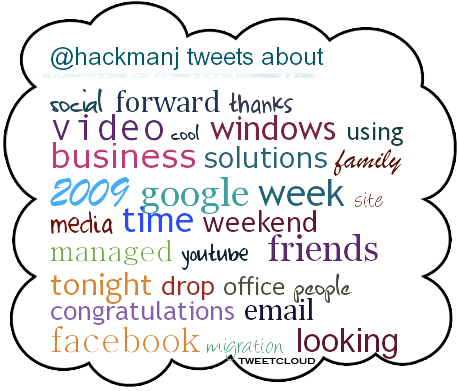 It allows you to create a cloud based on common words you use in your Tweets. I took these photos in September 2009. There was a large cargo plane circling Danville, CA where I live. I am surprised how well some of the shots turned out.